A fanged frog from Indonesia gives birth to live young instead of laying eggs. The Indonesian island of Sulawesi is famous for its diversity of amphibians and reptiles. Among them is the fanged frog. Of the estimated 25 species on Sulawesi, most are yet to be formally described. But one that was recently described by Dr. Ben Evans, an Associate Professor of Biology from McMaster University in Hamilton, exhibits a trait that has never been seen before in any frog, anywhere in the world. 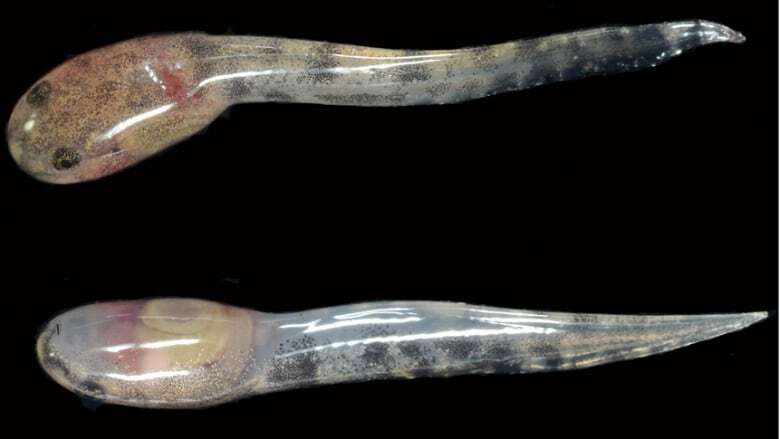 It gives birth to live tadpoles instead of laying eggs. Although mating has not been observed, it is thought that this fanged frog also exhibits internal - rather than external - fertilization, which is not unheard of in frogs, but very rare.